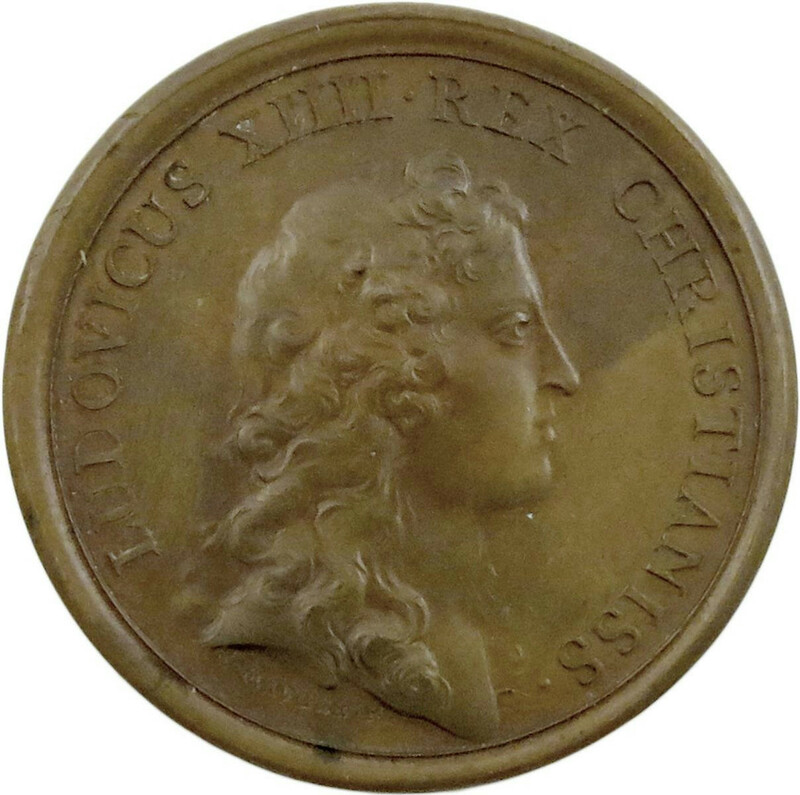 Louis XIV, the Battle of the Dunes or Battle of Dunkirk, French copper medal, 1658, by J. Mauger, youthful bust right with flowing hair, rev., Victory advances over prone bodies, sea and mountains beyond, VICTORIA PACIFERA, in ex., HISPANIS CAESIS AD DUNQUERCAM, 41.5mm (MI 427/70; Divo 48; vL II, 417). Extremely fine. The French army commanded by General Turenne and assisted by Commonwealth troops, defeated the Spanish who were fighting with English Royalist troops and French Fronde rebels. 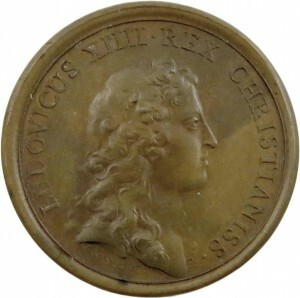 From the series of medals depicting Medallic History of Louis XIV. Provenance: Elsen Auction, 12 March, 2005 (lot 2572). 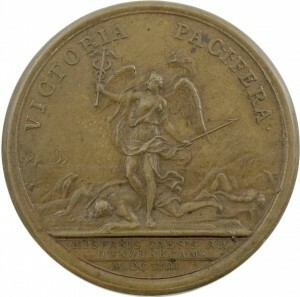 This entry was posted in Foley Collection, French, Medals on April 20, 2015 by anelson.